What is physical dramaturgy? While the traditional dramaturg shares research intellectually, the physical dramaturg does so viscerally and somatically. By combining elements of text, history, dramatic structure, and the author’s intent with movement analysis and physical theatre pedagogies, the physical dramaturg gives actors the opportunity to manifest their work in a connected and intuitive manner and creates a field that is as varied and rich as the theatre itself. 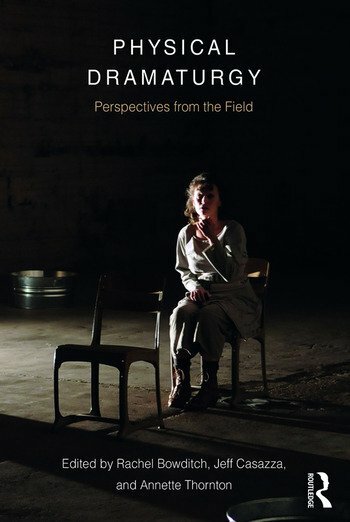 Physical Dramaturgy: Perspectives from the Field explores the ways in which this unique role can benefit the production team during the design and rehearsal phases of both traditional and devised productions. Individual chapters look at new ways of approaching a wealth of physical worlds, from the works of Shakespeare and other period playwrights to the processes of Jerzy Grotowski, Lloyd Williamson, Richard Schechner, and Michael Chekhov, and devising original works in a variety of contexts from Pig Iron, Dell’Arte International, Bill Bowers and mime, Tectonic Theater Project, and Liz Lerman’s Dance Exchange. This anthology gives dramaturgs, actors, and directors new ways of looking at existing methods and provides examples of how to translate, combine, and adapt them into new explorations for training, rehearsal, or research. Rachel Bowditch (PhD in Performance Studies, New York University) is a theatre director, an associate professor, and Head of the MFA in Performance at the Herberger Institute for Design and the Arts at Arizona State University, USA. Bowditch was President of the Association of Theatre Movement Educators from 2016–2018. Jeff Casazza (MFA in Directing, Florida State University) is a designated Linklater voice teacher, director/deviser, playwright, and actor. He is an associate professor and Head of Acting, Movement, and Voice at Purdue University Fort Wayne, USA. Annette Thornton (PhD in Theatre, University of Colorado Boulder) is an associate professor at Central Michigan University, USA, where she teaches courses in music theatre, performance, and history. Thornton was President of the Association of Theatre Movement Educators from 2012–2016.